I originally set up JamersPad back in 1997, during this time we have seen many changes to the forum, I have tried to keep up with the latest software and I think we have managed it all okay. Where has this 20 years gone? Thank you to all our members who have remained loyal. We have seen many website come and go and we are still here. We are a little quieter these days but we still have many members, keep them topics coming! Happy 20th birthday. Forum has taught me a lot and I have met some new friends here over the years. Still say hi to Jamer, Phil and Aide whenever I see them in the flesh and made other friends whom I have never met but still come across regular. If i remember right it was linked very closely to another site that is no longer around and i found Jamers via that other website and as they say the rest is history. Long my the Pad keep going. Just need someone to organize another meet up. Any takers? Think I have been here for almost the 20 too. Been banned a couple of times so a different name these days. Has been a good site for a long time. Congrats Jamer. Too many more I say as I raise my glass. It's only 9:45 am here so I am making quite a sacrifice. Maybe I'll make a few. 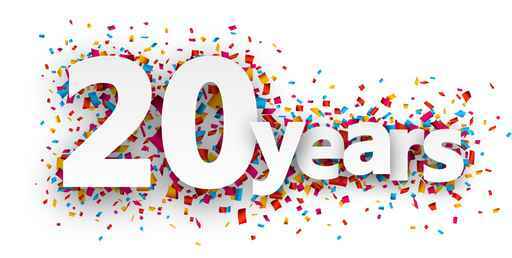 Congratulations, 20 years! Wow where did that time go? Can't believe that it's been so long. Still call in daily. If you went through this entire list looking for your name, I do apologize for completely wasting your time. I'm not even an admin and I have no clue who these people are. 20 years go by so fast. I remember the old day's when the pad got shutdown reopend got shutdown and reopend again.